The APC Back-UPS 600VA BE600M1 was introduced in 2016 as the replacement to the APC Back-UPS 550VA BE550G that originally came out in 2008. I actually bought the old APC Back-UPS 550VA nearly a decade ago and it just recently started giving off an alert that the battery was on it’s last leg. The battery life in one of these units is generally 3-5 years and I basically got double the advertised life from the original battery. No complaints there and the replacement battery for the BE550G is sold under part number APCRBC110 for $35.14 shipped. 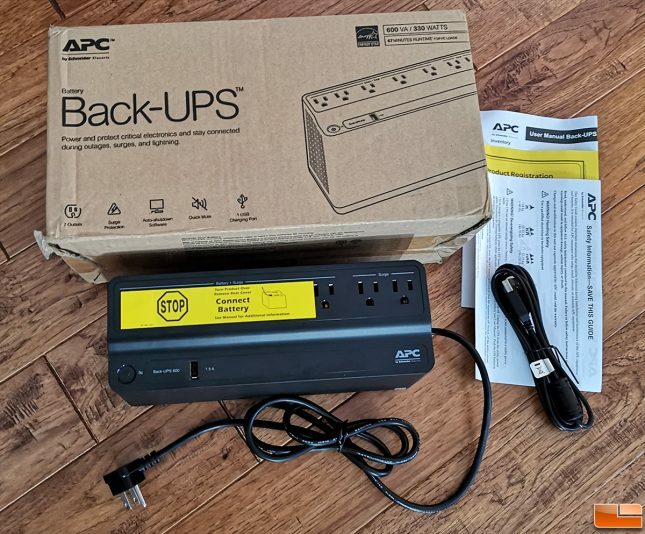 So, the question that I was stuck on was having to put a new battery in my nearly 10-year old unit for $35 or getting a newer model like the APC Back-UPS 600VA BE600M1 for $56.89 shipped. Our old BE550G was a 330W back up that had 8 outlets (4 battery back up & surge protected and 4 surge protected only) in a unit that was 12 x 3.3 x 7 inches in size and a weight of 12.1 pounds. The new BE600M1 is a 330W battery back up that has 7 power outlets (5 battery back & surge protected and 2 surge protected) in a smaller form factor of 10.8 x 4.1 x 5.5 inches and a weight of just 7.7 pounds. APC did away with Ethernet line surge protection (RJ45 port), but has included a 1.5 Amp USB charge port on the new model. When you start diving into the technical specifications there are number of key differences between the two models that are worth pointing out. For example, the BE600M1 has a 6ms typical transfer time (10ms max) versus the 8ms typical transfer time (12ms max) on the model that it replaces. That means it switches over to the battery 25% quicker than the previous model. A typical recharge is just 10 hours on the BE600M1 versus 24 hours on BE550G, a 2.4x improvement! When it comes to surge protection before the units switches over to battery the new BE600M1 as a 490 Joules surge energy rating versus a 340 Joules rating on the BE550G, which is a 44% boost in protection. The humming/buzzing noise on BE600M1 when the battery is being used is rated at 35dBA from a distance of 1-meter and that is a huge reduction from the 45dBA on the older model. 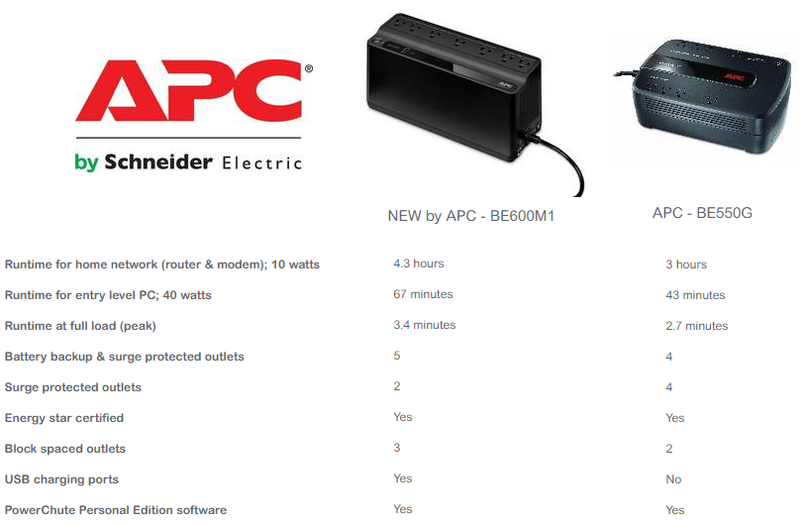 Last and most importantly, the new APC BE600M1 lasts 67 minutes with a 40 Watt load versus just 43 minutes on BE550G. APC managed to get over 55% more battery life out of this unit at a 40 Watt load and that is impressive. These are all massive differences in areas that matter and certainly some good reasons to upgrade to the latest model rather than replacing the battery in your old unit! 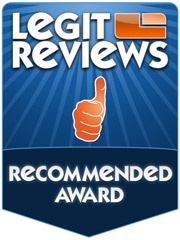 New battery backup models don’t come out too often and it’s apparent that they can bring good changes as well. The APC UPS 600VA Battery Backup & Surge Protector with USB Charging Port (BE600M1) was shipped to us without being placed in a shipping box. The brown cardboard box had a few dings on it, but the battery backup was undamaged inside. 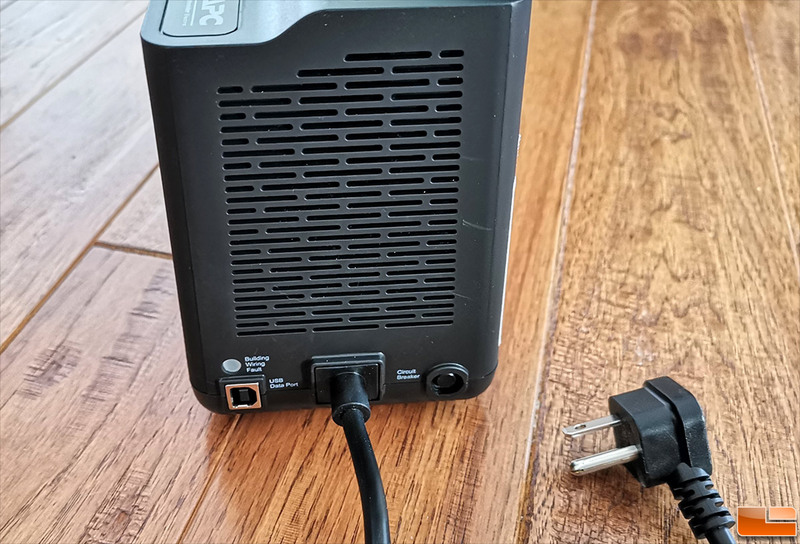 Inside the box you get the battery backup with the 5-foot long hardwired power cable, a USB Type-A cable for the optional power-management software and the usual paperwork. 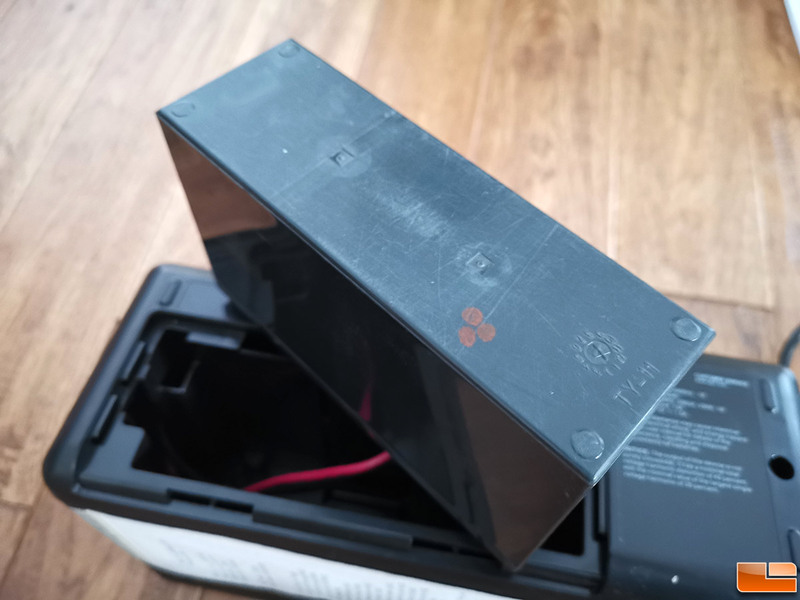 The battery is not connected, so the first thing that you’ll need to do is slide off the bottom battery cover and plug in the red positive cable to the only available connector on the battery backup. The battery in this brand new unit was really scuffed up, but I was told that it just due to the manufacturing process by the battery maker and not to worry. The battery on this model is available to purchase on its own under part number APCRBC154 (find pricing here). APC says this unit should have a 3-5 year battery life and if it fails under APC’s 3-year warranty it will be replaced. The BE600M1 is covered by a 3-year warranty and a $75,000 connected equipment policy. With the battery connected, I removed the warning sticker and was finally able to see all seven outlets. APC spaced some of the battery & surge outlets apart, but chances are some will still be blocked by bulky wall adapters. The power button is green and also works to silence the alarm. If you want further control of the alarm you’ll need to install APC PowerChute software. On the back of the APC BE600M1 you’ll find the quality assurance test that was done at the factory that shows it passed all the tests and on what date. We got this model in December 2018 and it showed that it passed testing in May 2018. Just to the left of the print out you’ll likely be able to just make out the holes that allow this unit to be wall mountable! This is a pretty slick feature and something that older battery backups might not have offered. 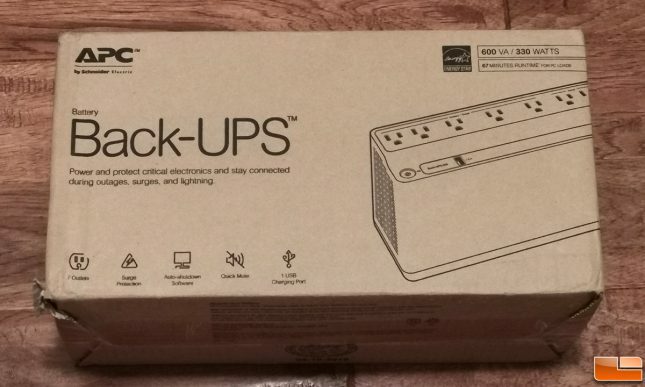 On the end of the UPS battery backup you have the circuit breaker switch, USB data port and a building wiring fault indicator. Note that the 3-prong wall plug is a low-profile design that has the cord coming out at a right-angle. I ended up connecting my Netgear Nighthawk Pro Gaming XR700 Wi-Fi Router (18 Watts), Netgear Arlo Pro 2 wireless home security camera system (5 Watts) and the Technicolor DPC3216 DOCSIS 3.0 cable modem (6 Watts) to the APC UPS 600VA 330W BE600M1 Battery Backup & Surge Protector without issue. The total power draw from these three devices is right around 30 Watts. This model is rated to have a 23 minute runtime with 100 Watts, so this should easily give over an hour of power when a power outage happens. After yanking the power cable from the wall we were able to keep our home network and security cameras online for 75 minutes before the battery needed to be re-charged. 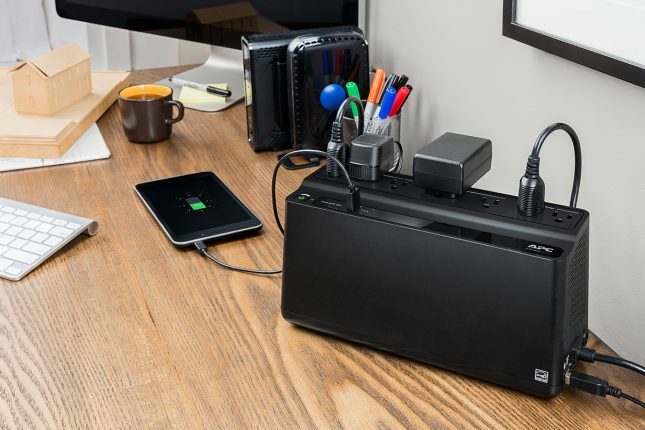 Most power outages these days don’t last more than an hour, so this is a rather inexpensive way to keep your electronics safe and running when the power grid fails you. 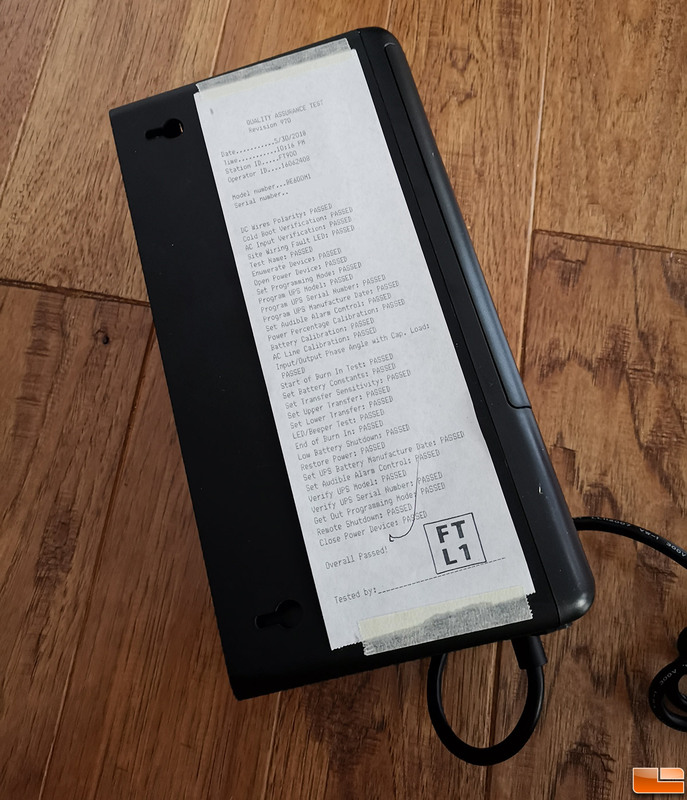 Just remember that you can’t connect a laser printer or anything that pulls more than a 330W load. The APC Back-UPS 600VA BE600M1 is available right now for $56.89 shipped and that feels like a fair price for what is being offered. I think it was better to get this new UPS over putting a new battery in the old model. I’ll report back if any issues with this unit arise over time!